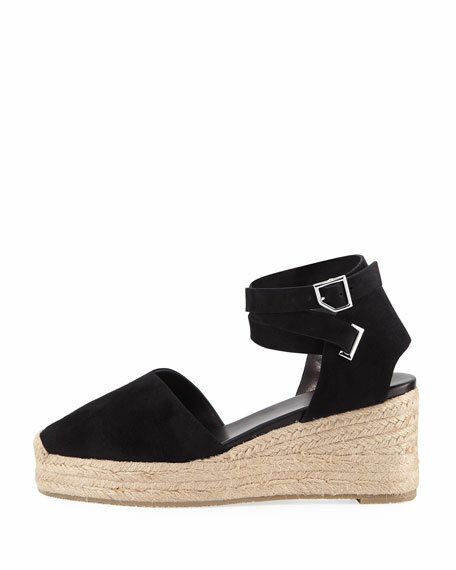 Rag & Bone "Kea" suede sandal in packable shoe design. 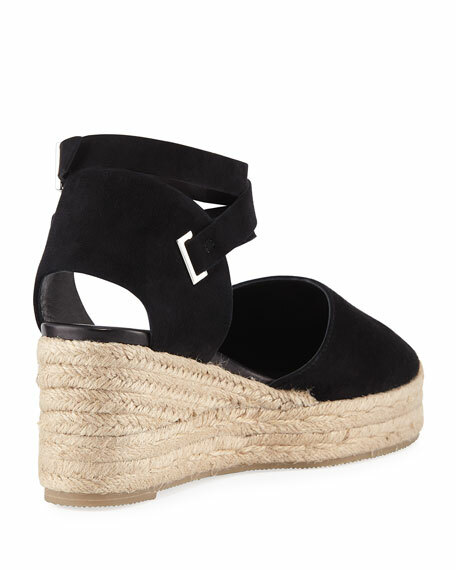 3" braided-jute wedge heel with platform. 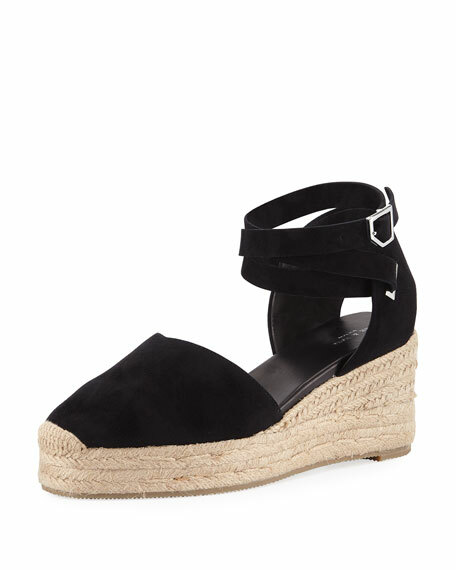 For in-store inquiries, use sku #2594217.